Renters are pet lovers, too—but according to a recent Rent.com survey, 83% of renters surveyed said they have had some difficulty finding an apartment due to no-pet policies. So, before you adopt a pet, be sure to read your lease and check with your landlord to see what restrictions are in place. Some apartment complexes will only permit certain kinds of pets, while others may have a list of specific breeds they won’t allow. Property managers also may set a weight maximum. Once you know what’s allowed in your building, make sure to get permission in writing. 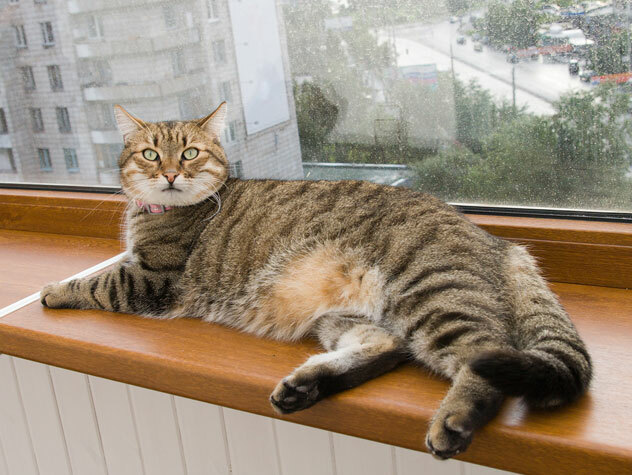 Of the 1,000 U.S. renters Rent.com surveyed, 62% have a cat, making it the most popular pet for renters. Cats make perfect apartment pets due to their size, easy- going nature, soft-spoken meows and ability to be left alone for several hours a day. British Shorthairs are undemanding, independent cats—making them a good fit if you have a busier lifestyle. If you’re looking for a more playful feline, the Javanese (known for their curiosity and intelligence) might be for you. On the other hand, if you’re looking for a lap cat and lots of cuddling, a Ragdoll could be the right choice. Keep in mind that every cat has its own personality, regardless of breed, so you’ll want to spend a little time with your potential new pet and ask the shelter a lot of questions before bringing your feline home. If you’re more of a dog person, you’ll want to choose one that is both small and fairly low maintenance. Small dog breeds like Boston Terrier, French Bulldog, Dachshund and Pug are all great apartment-friendly pet choices. Keep in mind, some dogs can be more vocal than others, and a pooch prone to barking could be an issue down the road. Want a larger dog? Keep in mind all dogs need regular exercise, especially big ones, so be sure to be on the lookout for nearby parks and dog-friendly areas when searching for an apartment. That being said, some breeds need less exercise than others. For example, Bulldogs are great apartment pets since they are prone to lounging, napping and require minimal grooming. If you have your heart set on a furry friend, but just can’t seem to find the space, you’re not out of luck! Consider adopting a rabbit, hamster, guinea pig or ferret. Aquatic pets are also an excellent option for apartments. Fish are beautiful, easy to maintain and known for reducing stress. Snakes, geckos and hermit crabs are some more exotic choices that are still easy to maintain—and great for kids!